Sometimes referred to as the border collie of the cat world, the Abyssinian is one of the smartest cat breeds. Abyssinians have long slender necks, legs, and tails, and larger-than-average ears that give the appearance of attentiveness. Although lean, they are muscular and svelte rather than skinny. Their faces are wedge-shaped, and their almond-shaped eyes are accentuated by dark lines that encircle the eyes and extend also from the brow. Many have shaded cheekbones as well. Abyssinian fur tends to be short and dense, but there is a long-haired variant called the Somali. Abyssinians have tabby markings on their heads, and some have stripes on their necks or legs as well. Individual hairs are ticked, meaning that each has between 4 and 6 alternating bands of lighter and darker colour. This ticking gives the cat an iridescent look. Abyssinians come in four recognized colours. Ruddy Abyssinians (the original breed colour) have shaded bands ranging from black or dark sepia to bright orange, which gives the overall impression of burnt sienna. Red Abyssinians have bands of chocolate brown at the dark end of the fur spectrum, alternating with orange. Blue Abyssinians have alternating slate blue and warm beige bands. Fawn Abyssinians have bands of light cocoa and warm rose-beige. Among the oldest established cat breeds, the Abyssinian most likely originated from Southeast Asia. However, the origins of this cat remain shrouded in mystery, with many stories but no hard facts. The first Abyssinian was brought to England in the 1800s when the British were fighting a war in Ethiopia, then known as Abyssinia. The breed was later introduced to North America in the 1900s. In addition to being one of the most intelligent breeds of cat, Abyssinians are highly active, and enjoy following their favourite humans around and “helping” with things. While smart enough to learn tricks, an Abyssinian is more likely to train its owner than the other way around. Although they are affectionate and quick to purr, Abyssinians are not lap cats and hate being restrained. Brainy Abyssinians are good at solving practical problems, and also tend to be snoopy, following the whims of their curiosity. Athletic, graceful, and bouncy, Abyssinians need plenty of exercise and tend to be constantly on the move. They run and jump and seek high places, so providing a tall scratch post will make this cat happy. Fragile objects should not be left on shelves where the Abyssinian is likely to come cruising through. Abyssinians tend to retain a kittenish playfulness well into adulthood. Many like to carry toys around in their mouths, and some will even play fetch. Abyssinians usually enjoy store-bought cat toys, but most can amuse themselves equally well with wadded up balls up paper, a toilet paper roll that can be shredded, or some other impromptu plaything. Some Abyssinians like to play with water as well. Abyssinians are one of the breeds that is more inclined to accept dogs and older children, though they are less likely to bond with toddlers. Because they are so extroverted and interactive, Abyssinians shouldn’t be left alone for long stretches of time. Anyone who adopts an Abyssinian should bring home a second cat at the same time if there are likely to be long hours where the house is empty. Abyssinians are one of the breeds more inclined to take to leash training, so many Abyssinians can be taken for walks using a cat harness. Most well-bred Abyssinians enjoy robust health, particularly if they are indoor cats. Like many other breeds, Abyssinians are prone to developing gingivitis. Engaging in preventative dental care can reduce the likelihood of gingivitis in an Abyssinian’s later years. Although the kidney disorder Renal Amyloidosis has been unfairly associated with Abyssinian cats, it actually afflicts many different breeds. This condition, which can result in kidney failure, is believed to be genetic, and reputable breeders take steps to avoid perpetuating genetic lines that carry the disorder. 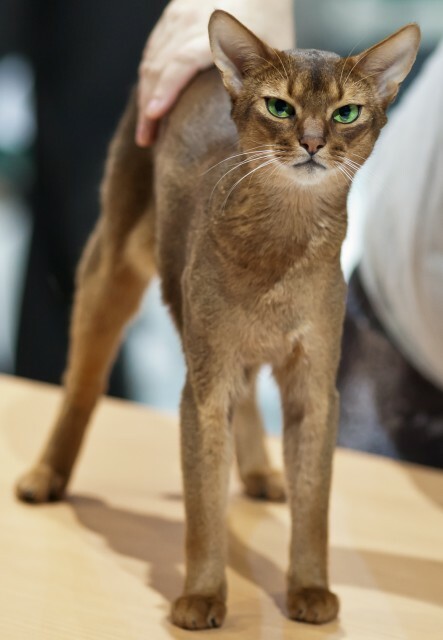 As a result, most Abyssinian breed lines are free of it. Auspitz, Norman, Cat Fanciers’ Association. (2001). “Breed Article: The Abyssinian.” CFAinc.org. Knight, Christie. (n.d.). “About Abyssinians.” CanadianAbyssinians.ca. Merindalee Abyssinians & Osiris (V) Abyssinians, Cats of Australia. (n.d.). 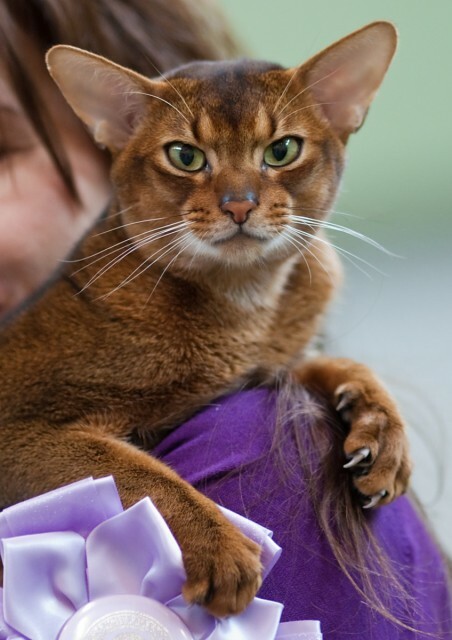 “Abyssinian Cat Breed Profile.” CatsofAustralia.com. Miller, Joan, Cat Fanciers’ Association. (Updated 6 June 2008). 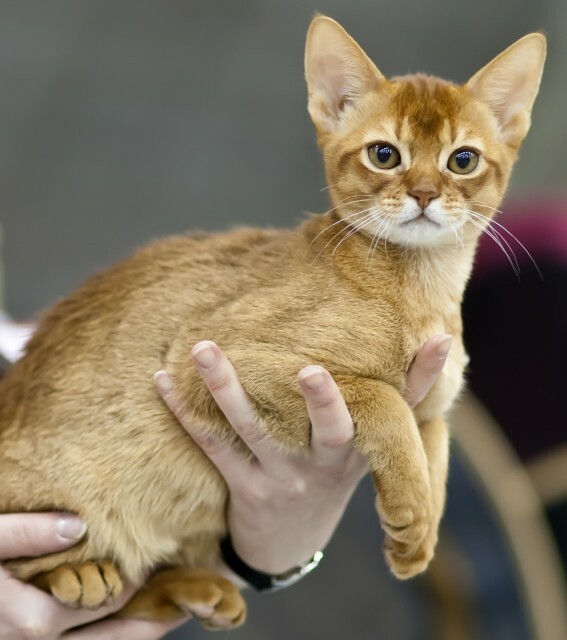 “Breed Profile: Abyssinian.” CFAinc.org.